Our team of First Data developers provide custom integrations to any entity wishing to connect with First Data APIs on the appropriate software platforms relevant to business needs. We can connect the Web Service API to seamlessly accept credit card payments into all of your applications. We have expansive and specialized knowledge in the payment and payment processing industry. We leverage TransArmor Security Solution to provide you with a secure First Data payment integration that defends payment systems from hackers, protects customer's sensitive payment information, and reduces liability in the event of a breach. We reliably transport financial data over the public internet from Point-of-Sale (POS) systems to the First Data networks, using Datawire Secure Transport and more. Our integration with mobile and web-based payment terminals include Clover Mobile, Clover Go, FD400GT, First Data Mobile Pay, VeriFone PAYware Mobile, Pogo, and Payeezy e-commerce platform and shopping cart plug-ins. 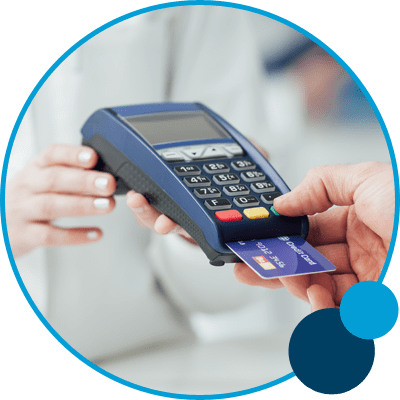 Integration with industry specific payment terminals include First Data Retail Solution, First Data Restaurant Solution, ICVERIFY, and more. Chetu is part of the First Data Partner Network. 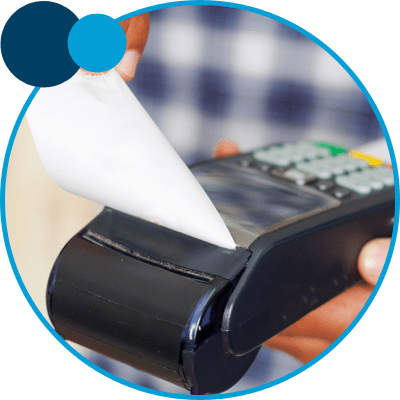 We leverage First Data's extensive array of payments and payment-related assets to provide custom integration with First Data payment gateways, point-of-sale systems, and more. Our services include government payments integrations for healthcare and human services such as AuthentiCare Electronic Visit Verification (EVV) systems, money network for electronic payroll cards, and remittance processing platforms. Chetu provides software development focused on payment services including First Data payments solutions and integrated partnerships, ARC and ICL electronic clearing, EFT acceptance, payment gateways integration, Money Network Financial Aid Disbursement, SpendTrend, PayLucky, and RapidConnect platforms implementations. Payeezy is an ecommerce solution used by small and medium sized businesses that includes webstore capabilities, currency conversion, security, fraud prevention and more. As First Data developers help you integrate your solution through First Data's open API environment to seamlessly unlock business value to new and existing channels. The Clover POS station offers an end-to-end solution that integrates a cash register, card payment terminal and a POS system. Our Clover certified developers help with Clover POS platform customization, custom apps, and business software integrations to help your business do more with Clover. First data provides payment processing and commercial payment solutions such as cash management services and payment electronification. We customize and maximize acquisition by offering end-to-end commercial payment solutions within the First Data framework. First Data helps organizations process credit card payments for any business type with credit card processing solutions. Our expert developers create seamless implementation of your First Data solutions while integrating 3rd party systems for better commerce solutions. Chetu's First Data integration and implementation experts are fully compliant with strict regulatory standards inherent to the payments and financial industry. We ensure all work performed by Chetu complies with industry regulations on anti-money laundering and consumer protection standards including Payment Card Industry Data Security Standard (PCI-DSS), Payment Application Data Security Standard (PA-DSS), SOX, Dodd-Frank, Check-21, and the Securities Act of 1933.